As a food blogger (yes, I do use that term loosely seeing as it’s been a wee while since I last wrote – more on that later) I know I’m supposed to say that I only frequent little-local-artisan-hole-in-the-wall-hidden-gems but you know what, sometimes I just fancy a good ol’ Pizza Express. As offensive as this revelation may be to some of you and as embarrassing as it is for me to admit, their Veneziana pizza always hits the spot. It just works. But, instead of telling you all to visit your local Pizza Express to try it out, I thought I would work the key components of my favourite pizza into something a little more sophisticated. 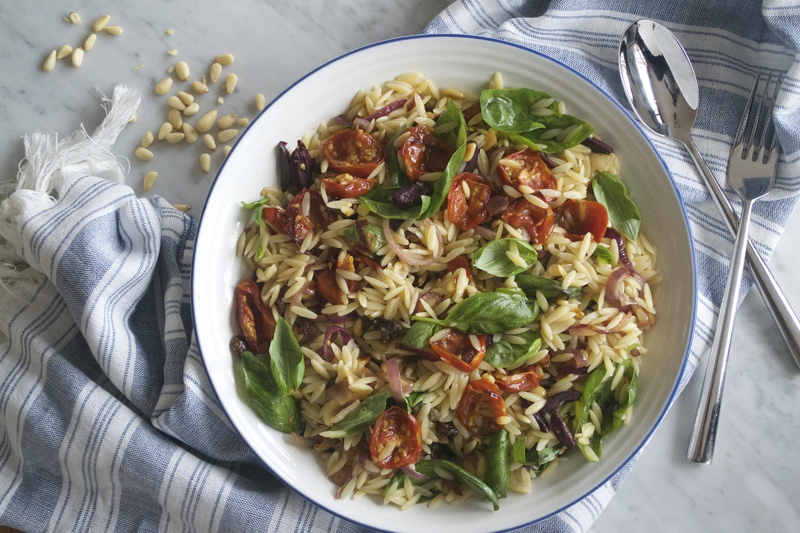 Enter the ‘veneziana’ orzo pasta salad. 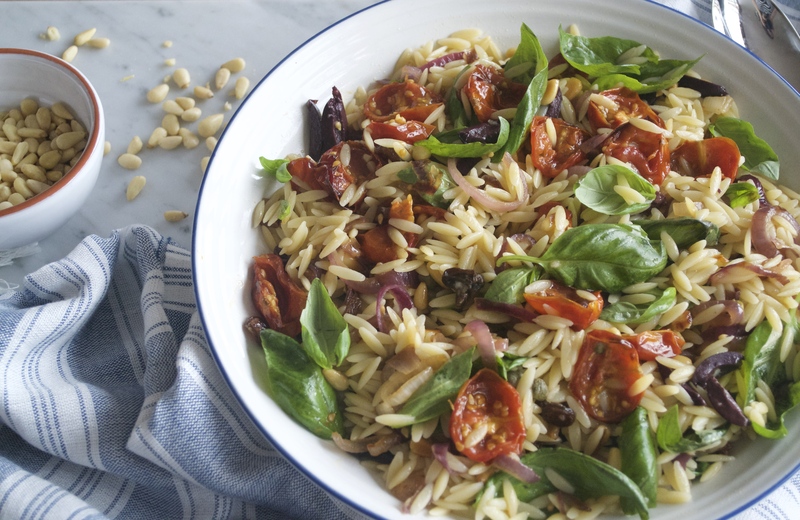 It’s a salad of contrasts – the sweet slow-roasted tomatoes, caramelised onions and plump sultanas work so well against the sharp and salty capers and olives. So, I hope you can find it in your hearts to ignore the chain-restaurant origin of this dish and give it a go. Feeds 1 pregnant person, 2 normal people as a main or 4 as a side. 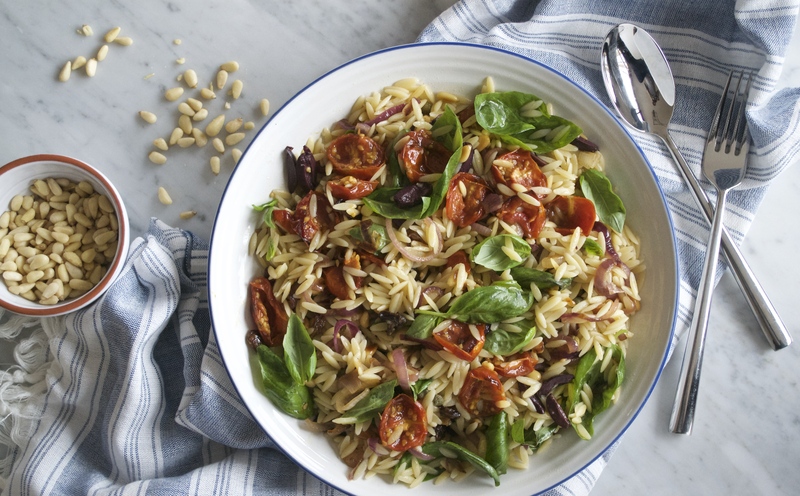 250g cherry tomatoes; halved // 2 small red onions; sliced // 2 tbsp pine nuts // 2 tbsp sultanas // small handful kalamata olives; quartered lengthways // 1 tbsp capers // 4/5 stalks basil; leaves picked // 180g Orzo pasta; cooked & cooled. While the tomatoes are cooking, sauté the red onions in a little oil until nicely caramelised, approx. 15min and leave to cool. 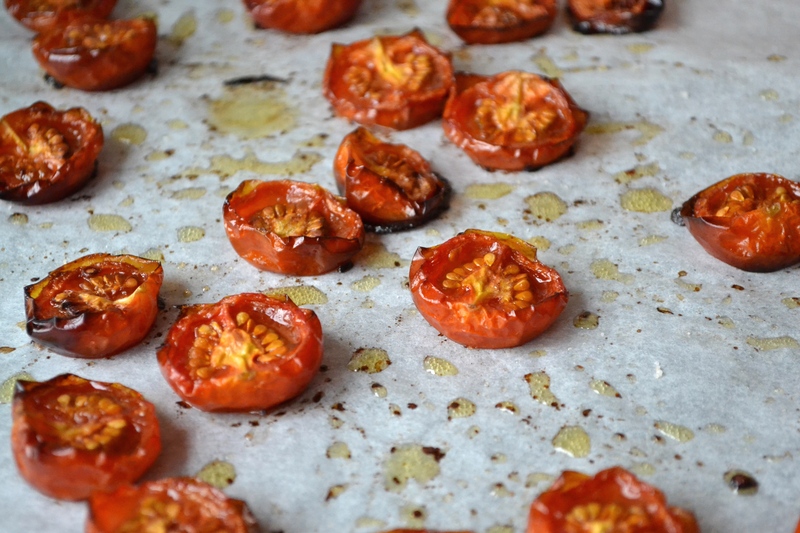 Mix the tomatoes and onions with the rest of the salad ingredients. Make the dressing by whisking all the ingredients together and add to the salad. This will keep in the fridge for a couple of days but I would bring it to room temperature before serving. This looks absolutely delicious, will definitely be giving it a try! So happy to see you back blogging too! I can’t wait to try this!! I have always been mildly obsessed with the Veneziana pizza! I make a pilgrimage every time I’m back home. Thanks for the inspiration and good to have you back! !